I came across this ginger cake recipe whilst in Sydney, in the Good Weekend lift out of the Sydney Morning Herald (Equivalent to the Age in Melbourne). 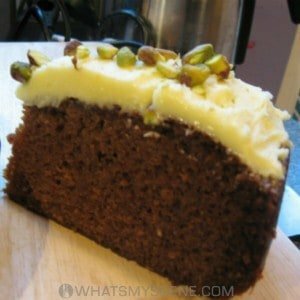 I love ginger and have a weakness for icing and pistachios, this photo looked appetising, and the recipe is from chef Neil Perry, who loves spices as much as I do. Late one Sunday night I decided to make it, and lo and behold the recipe works. The cake has a strong spicy ginger flavour and mine took 1 hour and a half in the oven, rather than the hour stated in the recipe, but oven times will vary. 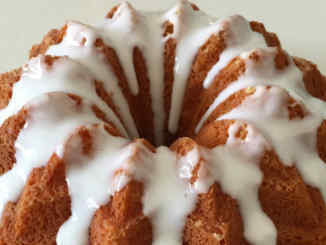 Line the base and sides of a 22cm diameter round spring form cake tin with a double layer of baking paper, allowing a 2 cm border above the top of the tin (this step is important, don’t skip it, it will help your cake rise, also do not grease the baking paper or the tin). Combine the golden syrup, caster sugarand oil in a bowl and mix well. (I used an electric hand mixer). Mixture will separate into layers. Set aside. Sift flour, cinnamon and cloves together into a bowl and set aside. Bring one cup of water to the boil in a saucepan, add bicarbonate of soda (the mixture will foam up) and stir gently into sugar mixture until well combined, then stir in ginger. Gradually whisk in sifted flour mixture, pinch of white pepper and then add eggs one at a time and mix well. Pour mixture into prepared tin (the mixture is quite runny) and bake at 170c for 60 mins or until a skewer inserted into the cake comes out clean. 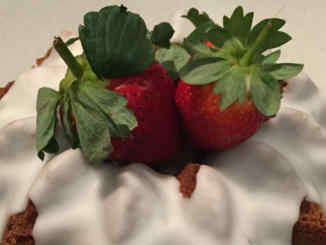 My cake took 1 1/2 hours in an electric fan forced oven at 170c. Check the cake at the 1 hour mark and if it’s still liquid in the centre leave it longer in the oven. Stand in tin for 10 minutes before turning out on a wire rack to cool. For the icing, whip the butter, with the paddle attachment in a mixer (I used my trusty electric hand beater). Introduce icing sugar, one cup at a time beating continuously on low speed. Add grated lemon zest and juice beating until smooth. 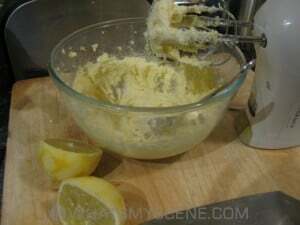 Pour in a little cream until you achieve an easy to spread consistency (I used 1 tablespoon). 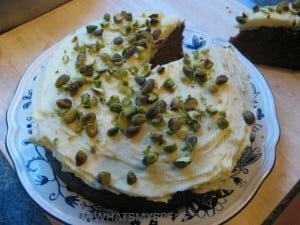 Ice the cake (wait until the cake cools so you don’t end up with a puddle of melted butter) and sprinkle with chopped pistachios. 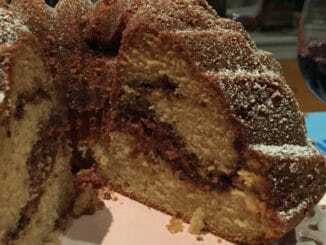 The cake is dark in colour due to the golden syrup and cinnamon. Slice with a hot clean knife and serve. Enjoy.